Bring the beloved childrens game of hopsctoch indoors! Never again will your child’s enjoyement of hopscotch be thwarted by bad weather – the Hopscotch Play Carpet makes it possible to layout a Hopsctoch grid on your livingroom floor. 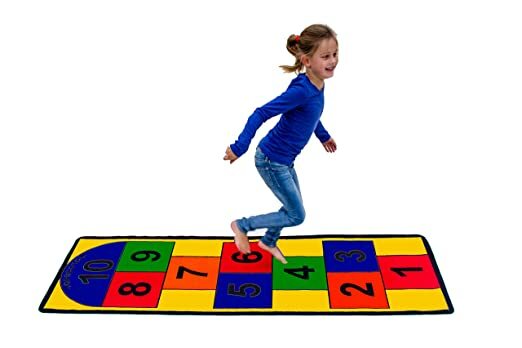 Made from durable nylon with durable Latex gel skid-proof backing, the Hopscotch Play Carpet is washable. Best of all, the Hopscotch Carpet can even be used out doors!